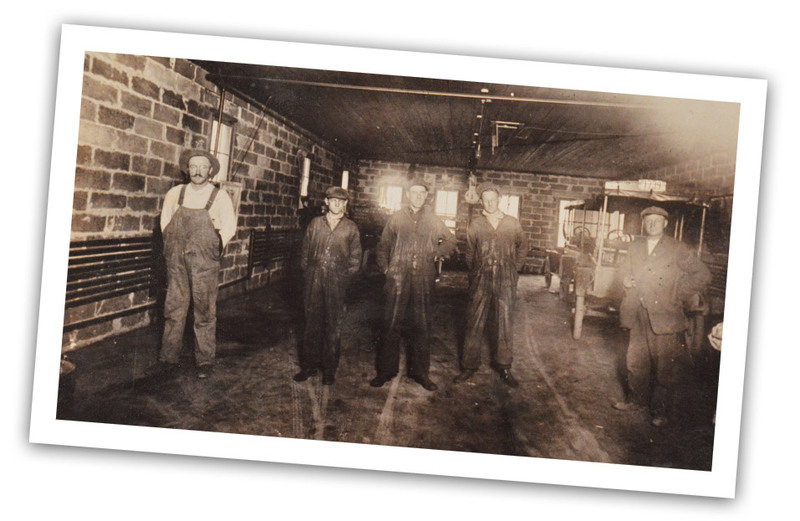 Leonard Ohnsorg Sr. founded the business in 1934 as a blacksmith shop, and a bus and body company. 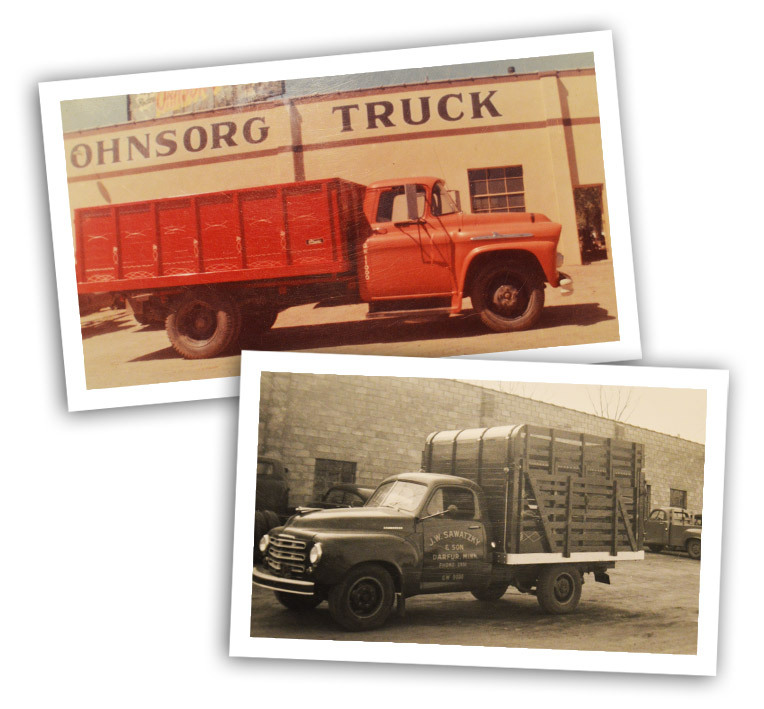 In the late 1940’s Leonard Sr. was joined by his two sons Leonard Jr. “Lenny” and Leander “Andy” Ohnsorg and together they started Ohnsorg Body Works which eventually evolved into the name Ohnsorg Truck Bodies, Inc “OTB”. 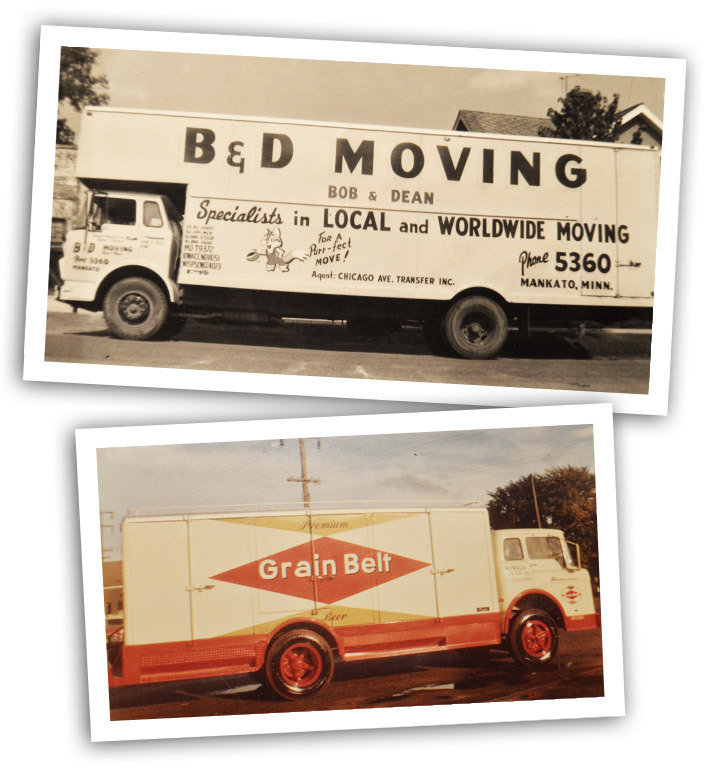 In 1949 Leonard Sr., Lenny, and Andy built a new building in downtown Chaska, MN. At this time the business manufactured truck bodies and sold Studebaker automobiles with traces of black smithing still evident. However, soon after they dropped the Studebaker line to primarily concentrate on building truck bodies. In the early 1960’s Leonard Sr. retired, leaving the business to Lenny and Andy. They ran the business until Lenny retired in 1983 and Andy shortly after in 1986. Which left Andy’s three sons Robert “Bob”, Thomas “Tom”, and John Ohnsorg to take over the family business. 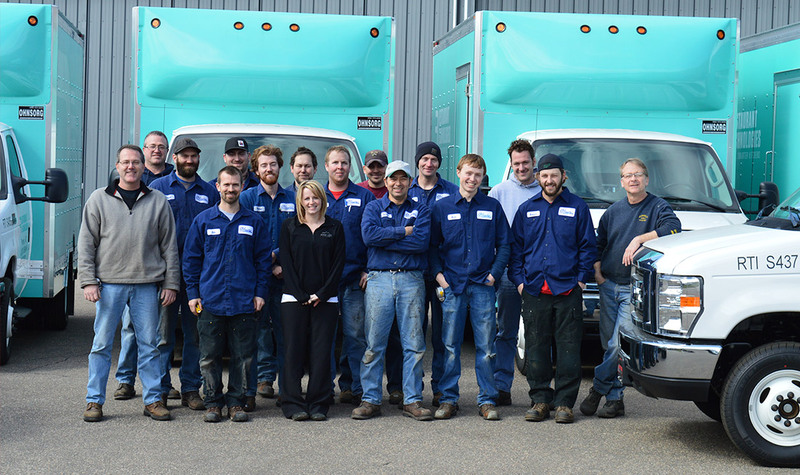 In 2007 Ohnsorg Truck Bodies had outgrown the building that made the company such a success and decided to look for something new. After a few months of looking at available areas they decided on a piece of property in Belle Plaine, MN. The property had an existing building, which they decided to add onto. In April of 2008 the three moved into the new location to continue their business. This is where the company still operates today. In 2010, Robert Ohnsorg retired leaving Tom and John as the present owners and operators of OTB. One that seems to stick out is the style of bodies that OTB has manufactured. The style has gone first from wood to steel, then to aluminum, and currently aluminum and stainless steel. As always, the Ohnsorg brothers pride themselves with the quality and workmanship of their bodies and the many other products they now manufacture and distribute. The Ohnsorg brothers will be the first to say that their employees play a very important role when it comes to quality and workmanship. They feel fortunate to have employees that are loyal and have a deep sense of achievement when it comes to their work. The brothers have children; will these children continue the business as a fourth generation? Stay tuned.